which specific vitamins are in this product? Does it contain vitamin b12, vitamin d vitamin c etc.? 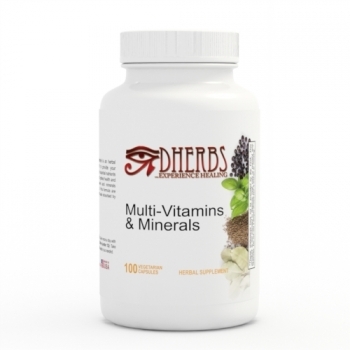 The Multivitamins and Minerals contains a blend of herbs that gives you a balance of essential nutrition to supplement one's diet for optimal health and wellness. Ingredients:KELP, ALFALFA LEAF, AMLA FRUIT, HEMP SEED, BLACK SEED, GOJI BERRY, MORINGA LEAF, SPIRULINA, DULSE, IRISH MOSS. Is this vitamin good for women over 50? If so what so good about it? The Multi-Vitamins and Minerals are good to take at any age. It helps boost your immune system and your overall health providing nutrients your body needs.